Duck farming business is known to be the more profitable business than that of chicken farming business. If you want to start a poultry farm, it is certainly not necessary that you have to open up a chicken farm only, no. Ducks’ eggs are high in demand as they contain more nutrients and protein. 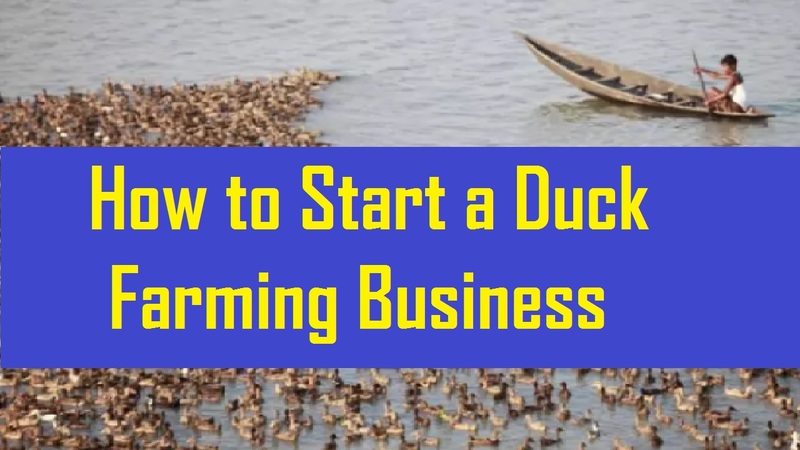 So if you are willing to start up your own duck farming business follow few steps that I am about to share with you. You must keep in mind that ducks are not friendly animals. They are easily stressed out, which might have an effect on their eggs. Stay away from noisy urban places where there is a lot commotion because this will have an effect on eggs too. Your farm must be big enough to provide the ducks a relaxing habitat. Put up fences around your farm, enough so that a dog doesn’t enter it. Your business mostly relies on location. It recommended that you start your farming business when the ducks are quite young. This is so caused, it is easier to handle them. Grown-up ducks are noticeably resistant than that of ducklings. Feed your ducks. Feed your ducks with lots of nutrients. Ducks like to have wet food rather than dry food. This affects their eggs making it bigger and heavier. You can feed them seafood like shrimps, fishes, clams, shells etc. But if that gets too expensive for you, you can give them a combination of feeds and chicken laying mass. In order to increase their egg production, give your egg laying ducks with supplementary feed. Which may include, banana peelings, sweet potato, and cassava, seaweeds etc. Sell your ducks at higher rates. If you are feeding your ducks well, they will provide you with good and healthy eggs. However, if few female ducks are no longer able to lay eggs you could sell them at markets at a high price. This way you will be hitting two birds with one shot. Well to be honest, in this sector marketing is not required, but if you are willing to sell your ducks let your neighbors know you have duck farm. I would not advise you on putting up add on newspapers because this might get a little expensive for you. But if you have a good investment you may do that. Duck farming business comes with lots of cons as well. You will have to take extra care of your ducks in order to start a profitable business. Avoid you ducks getting sick. Sickness is a big issue that should not be looked over. Feed your ducks well. Change of their diet might lead one duck to get sick. Noise is also a big factor, ducks cannot produce eggs if the area is noisy. Even thunderstorms or howling winds that exemplifies a big storm, ducks will be producing eggs. As I have mentioned above put up fences big enough so that o dog or even snake can enter your farm. Snakes could go to the smallest holes and bite your ducks. So take extra measurements with fences. All in all, duck farming business is a very good way to make money. At first, you might as well get a little disappointed but as time passes profit is reassured.